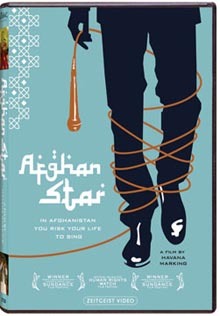 Synopsis: "After 30 years of war and Taliban rule, pop Idol has come to Afghanistan. Millions are watching the TV series Afghan Star and voting for their favorite singers by mobile phone. For many this is their first encounter with democracy. This timely film follows the dramatic stories of four contestants as they risk all to become the nation's favorite singer. But will they attain the freedom they hope for in this vulnerable and traditional nation?" Film series sponsored by the Susan B. Anthony Institute for Gender and Women's Studies, The Little Theatre, and the Multi-Media Center. Email sbai@rochster.edu for more information. Tickets are $5.